Shop New "Daughter of the King" Collection! 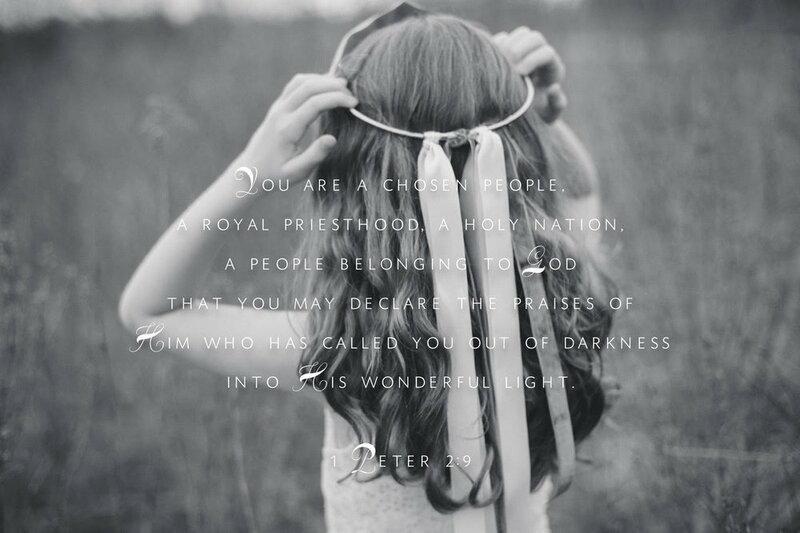 The vision behind our "Daughter of the King" collection came from 1 Peter 2:9. We designed items to remind us of our true identity found not in magazines or our fluctuating self-esteem but in the image of Christ. We are His redeemed daughters. AND our newest topical Bible study, "Cling Like a Burr", based on Katie Luther 's life that works great for personal use or in a group. We pray this collection draws you closer to Jesus as you come to know and carry yourself with confidence as a beloved daughter of the King! Note that this collection is 10% off in the shop until May 15th! And don't miss the opportunity to enter our Mother's Day Giveaway on Instagram to win one of our "Kingdomwork" mugs for yourself and a special mama friend!